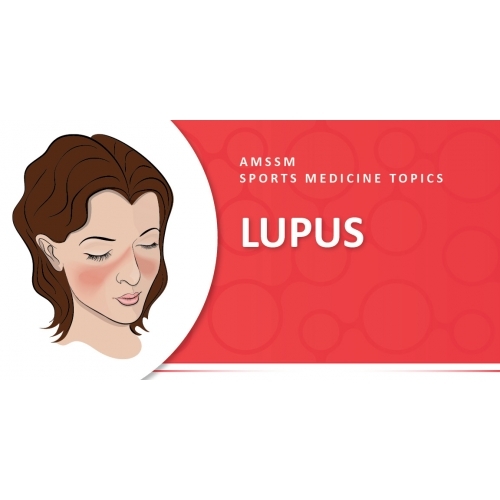 Lupus or systemic lupus erythematosus (SLE) is an autoimmune disease that affects many areas of the body, including the skin, musculoskeletal, kidney, heart, lungs and reproductive systems. An autoimmune disease causes your immune system to attack the healthy cells in your body by mistake. Lupus is ten times more common in females than in males, and is twice as common in black persons as in white persons. It is difficult to diagnose because many of the symptoms such as fatigue, rash, and joint pain can occur with many medical conditions. Musculoskeletal involvement is very common and occurs in up to 95% of people with this condition. Many patients with lupus experience fatigue, weight loss, and fever. Pregnant women can have miscarriages. Other symptoms include rashes, mouth sores, arthritis, lung or heart inflammation, kidney problems, neurologic dysfunction, and abnormal blood tests. The rashes are often a malar rash (butterfly-shaped rash over the cheeks), discoid rash (red, raised round or oval patches), or a rash on sun-exposed skin. Most patients with SLE will experience periods of remission when the symptoms go away followed by flares which vary from mild to serious. Lupus significantly increases the risk of heart disease and stroke. It can also lead to kidney failure and dialysis. Because recognition and treatment of lupus has improved, people with this condition are living longer. Treatment of lupus requires a well-coordinated, multi-disciplinary health care team. Your sports medicine physician will ask for a history of your symptoms and check your current functional status. The arthritis associated with SLE is usually symmetric and involves more than one joint, often occurring in smaller joints. Your physician may order x-rays to look for changes in your joints. In lupus patients with arthritis, MRI can detect signs of soft tissue disease. Your physician may combine medications to control lupus and to prevent tissue damage. Antimalarial medications such as hydroxychloroquine are often used initially. Nonsteroidal anti-inflammatory drugs may be used to decrease joint swelling and pain. Low-dose corticosteroids such as prednisone and other immune suppressants can also be helpful to manage musculoskeletal symptoms or treat more severe disease. There is no way to avoid lupus but exercise helps keep joints flexible in patients with the condition. It is important for SLE patients to stay active to reduce the risk of heart disease and stroke. Your sports medicine physician can help manage your symptoms to help you stay active. However, most individuals with SLE do better alternating light to moderate exercise with times of rest. Sunlight can cause a lupus rash to flare or can even cause a flare of the disease itself, so it is important to avoid excess sun exposure. Take all your medications as prescribed to keep inflammation under control. Return to play is dependent on the severity of disease and the organ systems involved. All patients should receive an individual exercise prescription based on their level of fitness and control their own pace.